If you own a boat or personal watercraft, you may be categorized as a thrill seeker and risk taker. That may be fun and exciting in many areas of life, but when it comes to insurance and protecting your investments, you don’t want to gamble with coverage. Make sure you have the right coverage in place to protect you, your family, and your investments. Coverage through InsureLine doesn’t just cover expenses involved in repairs or replacement, but also liability claims that may arise. Boating can be dangerous to you, your family, friends and others in the area and you want to make sure everyone is protected if anything should happen. InsureLine covers liability claims that can include a passenger slipping on a wet dock, or the watercraft damaging another vessel. You can take a serious financial loss with a liability claim if not protected with adequate coverage. 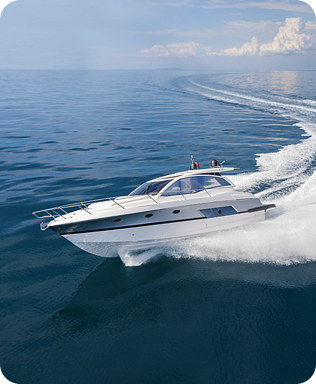 InsureLine brokers are experts in Boat and Personal Watercraft Insurance and can offer competitive rates and premium coverage for all vessels from personal watercrafts, to sail boats, power boats to yachts. Accidents can happen at any time. Are you prepared?